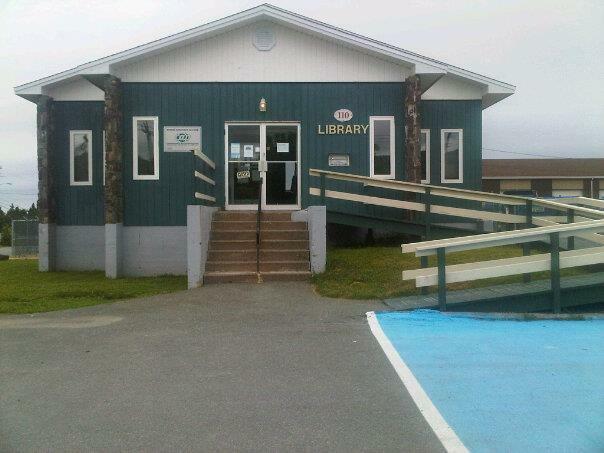 This is the Town of Conception Bay South public library. This is a very important place in my history. If any place has the capacity to give me a full-on nostalgic attack, it is the CBS library. It was a crucial place for the development of my interests and personality as I know myself. I was always encouraged to read stories (and write my own stories - I had a whole series about Dinosaur families) from a very early age. As much as reading is a cerebral activity, it's also such a physical, tactile, sensory experience. I have so many memories of early, meaningful reads - like the first time I read The Hobbit and The Call of the Wild (age 8 or 9). I remember the rocking chair in my babysitter's living room where I would read after school. I always tend to recall the physical environment where I read and experienced a certain book - what I was wearing, or smelling, or eating, the season. Books and reading experiences act as signposts in our memory. Borrowing books from a library was pretty essential for fostering my love of reading. I had a lot of hand-me-down books, and those treasured, much anticipated Scholastic book order gems that I was always grateful for, but until I had my own money and could start buying my own books, most of my material came from this place. My mother and I were such frequent patrons of the CBS library that we didn't have library cards - we didn't need library cards. The librarians knew us. I felt like a VIP in that place. The CBS library was a staple of our weekends. I recall the regularity with which we went there every Saturday morning. The library gave me access to so many ambitious reading opportunities - I loved my Goosebumps and Sweet Valley High (and later Sweet Valley University), but as young as 10 I was also checking out titles like Happiness is a Choice, Self-Defeating Behaviours, 7 Habits of Highly Effective People, and an 1000+ pae bad boy entitled A Treasury of Philosophy. If it was dense, and long, and psychological, and beyond my comprehension, I tried to read it. 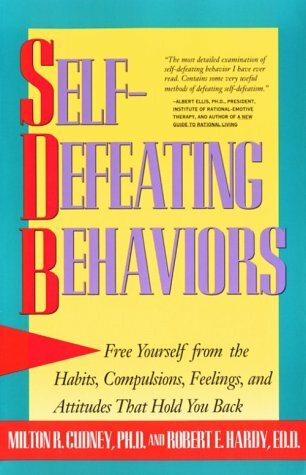 I have a deep seated fascination with the "self-help" genre that is easily traceable to the litany of titles I consumed in adolescence. All throughout my pre-teens and teens we also borrowed magazines. Everything from People to Seventeen - while I bought many teen and celebrity magazines for keepsakes and for scrapbooking/ collage-making, an interest that occupied me for hours on end in my childhood, we routinely borrowed magazines to read and then return. I was raised with a kind of self-aware frugality that I would never trade. I seriously took out every book in the Sweet Valley University series several times and read them voraciously. They're actually extremely entertaining and exciting, and my memories of those reading experiences are so vivid that I feel as though I watched a television series of it instead. I'm doing a Master's degree in English Literature - that means, hopefully, that I like and know a little bit about books. I always think about how valuable every reading experience is. Reading skill and literacy aren't the same thing - you can know how to read and yet not be a good reader. It takes a lot of practice and hours logged. Like any skill or strength, I liken reading to athletic development and muscle conditioning. Even as an avid, non-stop reader from childhood onward, it's amazing how much my reading ability has evolved and developed in the last few years. By the time I was mid-way through university, I figured I would continue to get smarter, better at learning, and better at writing, but I underestimated how much my actual reading abilities would continue to grow vastly with every book read. With a lot of material to read on a routine basis (I don't differentiate that much between for school and for pleasure - I just read a lot and it's all necessary), I approach books like an athlete approaches training. I like to improve on my time, while ensuring a depth of comprehension and ability to recall is there. And nothing beats a second (or third, or fourth) read. I love finishing a book almost as much as I love starting a new one.